Pavement systems are sometimes considered by many people as one of the least of their concerns. This is probably because of the lack of innovative and genuine ideas that people exert in making their pavement technologies. However, there are many pavement systems nowadays that seem to rise above the rest in terms of costs and benefits. This is because some of these pavement technologies are now upgrading interlocking patio pavers landscape of pavement technology. The interlocking patio pavers are one of the latest pavement systems as of today. It utilized the Ancient Roman technology in upgrading today’s pavement architecture. Using an interlocking feature between and among the pavers, it made a better paving system with more durability, vitality, design and class. One of the known advantages of upgrading pavements into an interlocking brick pavers type is that there will be less movement in the pavements because of the constraining power of the pavers interlocked with one another. This enables stability even in accommodating vehicles and vehicular equipment. The interlocking patio pavers system also enables an easy-repair function on individual pavers without much hassle that a normal concrete paver has. Just a detachment and replacement form the pavement system and it is again on the go. For this particular reason at hand, the maintenance cost of repairing pavements in at the minimum. However, this does not suggest that the interlocking patio pavers are easily damaged. On the contrary, the chances of damaging the interlocking pavers are very minimal. The interlocking features are surely a handy feature to have and consider when talking above paving the roads. One of the main reasons for this durability of interlocking brick pavers is the sifted sands in the middle of every interlocked paver. The installation of the sifted sands, if done properly, will dispel the movement of the pavers. This enables this pavement system to be stable and withstand being walked and driven on without much movement. However, the most spectacular advantage of having interlocking patio pavers is reserved for last. It is the environmental-friendly feature of the interlocking brick pavers. This paving system enables the planting of vegetation in the middle of the grid system. Also, storm water is efficiently utilized through the grid system enabling people to use it for necessary watering than returning the water to the waterways. The interlocking patio pavers are definitely one to hit the carts. Not only does it efficiently function as a pavement system, it also has remarkable features that can change the pavement landscape of today. Interlocking pavers can create a casual or formal design feature in virtually any color you require. They are also available in a variety of shapes and sizes, usually ranging from 2 to 2 ½ inches thick, similar to that of a regular brick. An interlocking paver system is so easy to repair. They can be lifted and replaced without much hassle at all, unlike having to repair a concrete slab, where you would have to demolish it and start over again. The maintenance costs involved for this reason are very low. 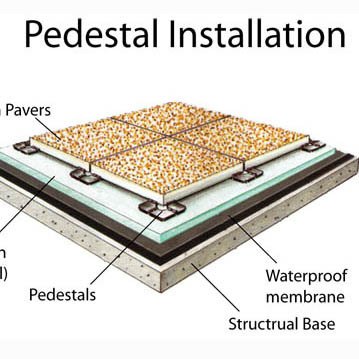 This mainly refers to the permeable type of interlocking pavers, where vegetation is planted between the grid systems. These pavers allow the re-use of storm water back into the grounds, rather than back into our waterways. Meaning that they also maintain themselves with the necessary watering, without having to use our own water, for it is such a precious resource. 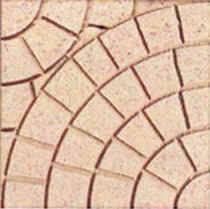 Interlocking pavers are designed so that there are ridges on the wall of the paver. During installation special grades and sizes of sand is sifted between the pavers. When installed correctly they will not shift or sink. They can withstand being walked on and driven on, without buckling. This makes interlocking patio pavers a very strong and sturdy surface material.